Tarquin co-founded ReEnergise in 2010, following a 25-year career in marketing and communications consultancy. His interest in the low-carbon sector started when representing the Welsh Development Agency and promoting their drive to establish a strong investment and infrastructure environment for low-carbon technology. In addition to his work in Wales, Tarquin also represented businesses in solar PV and biofuels. After over two decades of advising other businesses, the opportunity to develop his own led to our company’s formation. 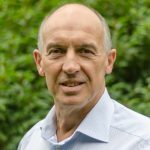 Outside of ReEnergise, Tarquin is Chair of Governors of Amesbury School in Surrey and also chairs the Chair of Governors forum, a group formed of over 40 independent school Chairmen from the South of England.